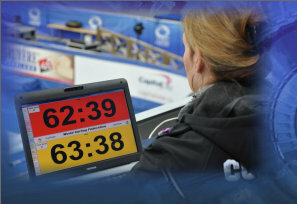 Below you will find a link to a document entitled, “Timer Training for Thinking Time.” This was recently distributed by the World Curling Federation and contains links to two videos posted to vimeo.com. As the first video provides a solid review of timing, you are encouraged to watch it prior to the first game you will be timing. The second video contains several curling ends. It is designed for your to practice timing. You may want to play the video on one computer with the CurlTime software on another as a means of practicing prior to your first event.